Home / Contributed / 7 Money Saving Tips For Feeding Your Family. It comes as no surprise that parenting can be stressful. At times it can be a complete whirlwind. 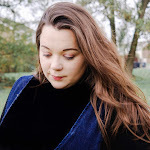 Sometimes finding the joy and smiles is easy and sometimes it's a little harder, but amid those times it's not so easy we owe it to ourselves to savour those moments forever, so why not make our lives easier? That's why I have decided to share some money saving hacks that will ensure that those adventures and memories are in no way compromised due to all those parenting duties. 1. P L A N Y O U R M E A L S.
When it comes to feeding your family planning is everything. By taking the time to plan your family's meals, you remove the excuse of not knowing what's for dinner. I don't know about you but when it comes to deciding what to make for dinner on a daily basis, the choices get too similar and frankly boring. By planning you'll choose something that everyone will like without staring at the fridge for 20 minutes trying figure out what everyone will want to eat. I would normally plans meals for the week at a time and make them different each week. 2. G O B A C K B A S I C S.
Convenience food has it's place, but don't rely on them all the time especially when you’re on a tight budget because it costs more and is usually unhealthy. Anything that you can learn to make at home instead of buying will save you money. I make things like freezer meals, homemade bread, and granola bars because the are better for my family and save me money. So go back to basics. Back to basics food is based on the premise that good health is achieved through eating the proper diet and staying active and that meals should not come loaded with chemical additives, flavourings, dyes or perfumes. The basic old-fashioned foods that our grandparents ate. Always buy fresh food that you can use to cook meals from scratch. One food that many of use take for granted and spend so much money on is bread so what better way to cut the cost with feeding the family than making your own and it's not as hard as you think. 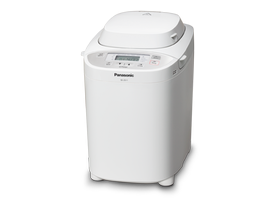 And with this Panasonic Bread Maker you will save you so much time whilst making super fresh and tasty bread, that lasts. 3. S H O P S M A R T.
Whether you decide to shop online or out into the supermarkets, make sure that you try and shop smart. There are so many different supermarket comparison websites that will show you the price of many items in all major supermarkets, which will enable you to find the best deals. This could mean that you may have to visit a couple of shops, but if it's going to get you some great deals. It's worth the trip. If you’re online shopping always look out for vouchers and discount codes. Whether that's a promotional discount or free delivery, it's always worth a look. For the ultimate food bargains, find out when your supermarket does its final reductions of the day. The staff should tell you, so just ask. Ask family and friends if they know any good bargain spots. On the whole, the bigger the supermarket, the more waste they have to clear, so it might be worth your while driving to one slightly further away until you work out which store typically has the best bargains. 4. S W A P S H O P.
There are others ways that you can save money when it comes to feeding your family. Make simple and easy swaps within your food shop. Something that may be a little more expensive up front may actually be better for you. Simple swaps such as fresh berries for frozen berries, frozen versions are normally cheaper and in larger packs. The will last longer and maintain many of the nutrients that might otherwise deteriorate in fresh berries during shipping, storage and sitting in your fridge. Think about simple swaps that can save you money. 5. L O V E Y O U R L E F T O V E R S.
I love to save money and also time by batch cooking meals and using up leftovers, it baffles me that so many people don't eat their left overs. Sometimes when I am cooking I actually cook more than I should so we can use the left overs for another meal. This saves me the time and hassle of having to plan cook for lunches and also saves money. So when you are making a simple and easy meals like spaghetti bolognese think about lunches for the next day. A simple sauce made with tinned tomatoes along with store cupboard herbs works out far cheaper than buying it in a jar. What about your Sunday roast? Check out these 5 Recipes for Left Over Pork. 6. M A K E Y O U R O W N T R E A T S.
A little bit of what you fancy definitely is always good. However when it comes to buying all those sweet treats they can work out to be more expensive and seeing as you have many ingredients in the store cupboard it make sense to make your own treats. It's also a great way to get the children into the kitchen. Take a look at our recipes for Shortbread, Banana Bread or these amazing Peanut Butter Cookies. 7. G R O W Y O U R O W N.
Something that I am really keen on doing with my little lady this summer is to try and create a small vegetable patch in the garden, so many people like to keep herb plants in their windowsill and so this summer we plan to go one step further and actually take it into the garden, it will be a good way to try and save money. I would always look forward to summers as a child as my Grandad loves growing vegetables in his garden, his tomato plants were my favourite. Do you have any money saving hacks for feeding your family? I'd love to know, please leave me a your tip(s) in the comment section below. 10 comments on "7 Money Saving Tips For Feeding Your Family." We always shop at Lidl over any other supermarkets. Occasionally we'll treat ourselves and do a Tesco shop but we seem to spend almost double the amount on practically a lot of junk food! That's one thing I like a lot about Lidl, they don't have much of a chocolate/sweet selection for you to fill yourself up on! These are really great tips! Another one is that in the afternoon you can find quite a lot of fresh fruit on sale, which would be perfect for that night or breakfast the next morning . These tips are amazing. What a wonderful post! Love that you’re writing such helpful and insightful content at this time of year!